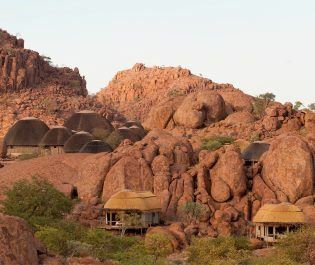 The dramatic scenery that surrounds the rustic Damaraland Camp never fails to take our breath away. 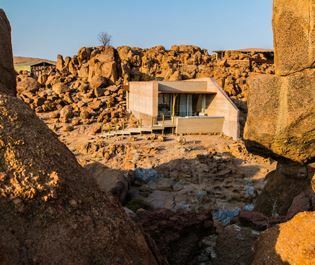 Nestled in the desolate Torra Conservancy, this charming camp’s wide open spaces and chic décor really blend well with Namibia’s stark natural beauty. 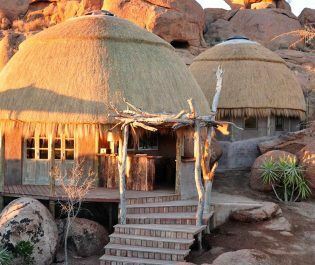 There are 10 elevated, thatched roof units, all with very minimalist African style décor. 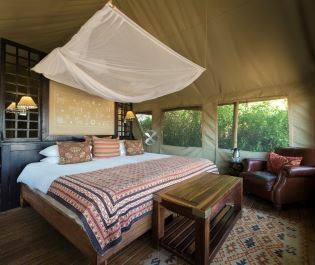 Each of the tents feature a double bed, writing desk, and en-suite bathroom, and there is one family unit with two bedrooms perfect for larger groups. The main open-air lounge area overlooks incredible scenes of endless desert, with the soaring Brandberg Mountains far in the distance. 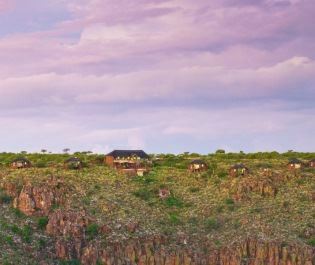 The fireplace and comfy sofas create a cosy, homely feel, whilst the outdoor boma is perfect for a relaxed gourmet dinner under the shimmering stars. 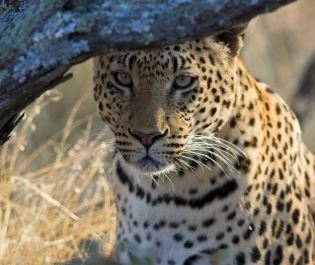 We love that Damaraland Camp is mostly run by a local community - it truly creates that authentic, friendly vibe. 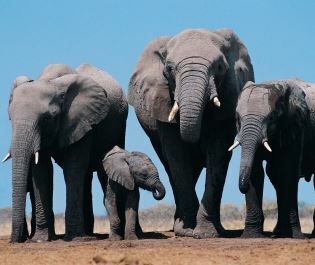 Whilst the wildlife may not be as prominent as other areas, fantastic nature walks will introduce you to incredible wildlife, including desert-adapted elephant, gemsbok, southern giraffe, and over 250 species of bird. 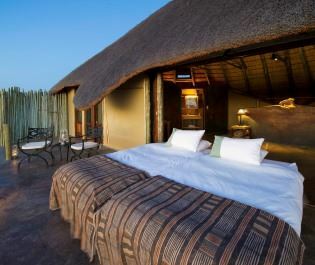 This unusual luxury lodge seamlessly blends into its arid surroundings, with vast outdoor decking areas and a scenic boma overlooking the Ugab River and Brandberg Massif Mountain. 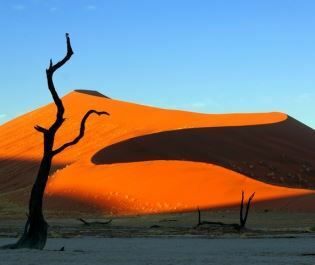 Nestled within the spectacular landscapes of soaring sand dunes and clay pan is a world full of luxurious lodges, adventurous experiences, and unspoilt splendour.